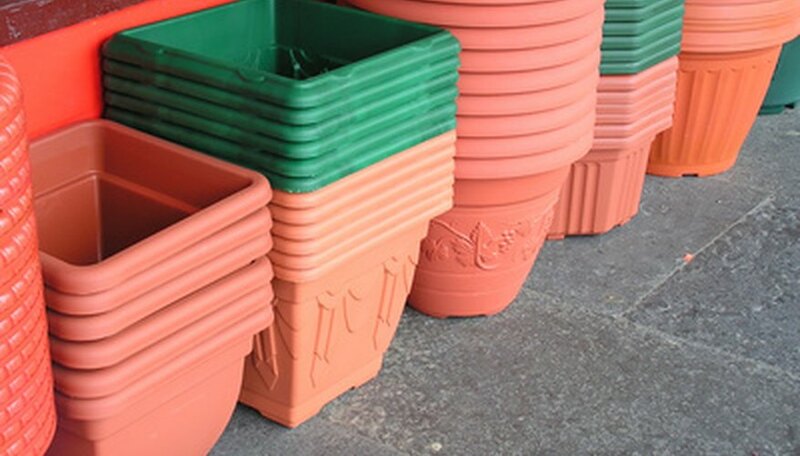 Growing vegetables in containers, like planter boxes, works well if you have little room for an in-ground garden or if your soil is unsuitable for growing vegetables. Container gardens are more versatile than in-ground gardens because planter boxes can also be moved to get more or less light for your vegetables. Also, nearly any vegetable can be planted in a container, according to Aggie Horticulture. Choose well-draining planter boxes to grow your vegetables in. All types of vegetables need well-drained soil in which to thrive. Without drainage, the vegetables will get root rot and die. Also, planter boxes should be between 1 gallon and 3 gallons per plant so the vegetable's roots have enough room to grow. Choose a location for your planter boxes that gets full sun, at least 6 to 8 hours of sunlight a day. Fill the planter boxes 2/3 full of potting soil. Dig a hole in the soil deep enough to accommodate the vegetable's root ball. Make sure the crown of the plant is about 1 to 2 inches below the rim of the planter box. Place the vegetables into the holes and fill the planter with potting soil until it is 1/4 inch higher than the crown of the plant. Space each plant so they have plenty of room to grow. Lettuce, chard and cucumbers need at least 1 gallon of space; beets, peppers and radishes need at least 2 gallons of space; and tomatoes need at least 3 gallons of space. Each gallon is about 12 inches high and 9 inches wide. Space multiple plants in one container about 1 foot apart for lettuce, chard and cucumbers; 2 feet apart for peppers; and 2 1/2 to 3 feet apart for tomatoes. Water the planter boxes well after all the vegetables are planted. Hold the hose or watering can at the tip of the planter box and fill it full of water to the brim. Allow it to soak in. Repeat the process until water seeps out of the bottom of the container. Water the vegetables every time the soil dries out to 2 to 3 inches in depth. Stick your finger into the soil to see if it is dry or not. If it is dry, water the vegetables until water comes out the container. Fertilizer the vegetables with a water-soluble vegetable fertilizer every two weeks to once a month. Mix half the recommended amount of fertilizer with water and use it to water the vegetables, according to University of California Davis. Harvest the vegetables when they are ripe. Ripe tomatoes will be fully colored and give slightly under your fingers. Ripe peppers will be fully colored. Ripe cucumbers will be 3 to 12 inches long, depending on the variety.